Remedial Massage, Craniosacral Therapy, Somoemotional Release and Visceral manipulation. My bodywork experience has extended over ten years underpinned with twenty years plus of previous nursing experience including Palliative Care, Oncology, and Rehabilitation. 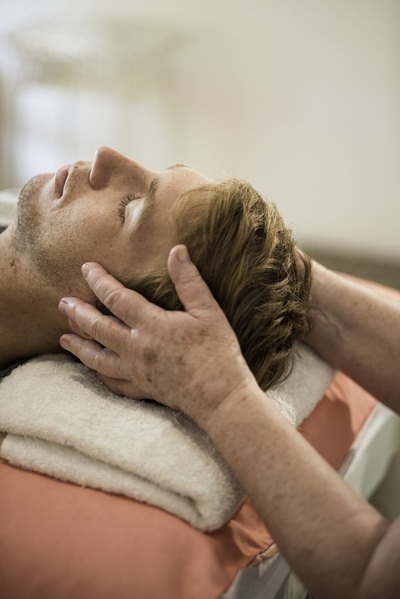 Bodywork therapies involve listening to the client,s body through the connective tissue web,called fascia,which is woven about every organ,soft tissue and bone in the body. Through touch of the hands and fingers, listening to these tissues takes place, which enables me to pin point energy blockages, origins of tissue tension and pain and to treat them quickly and effectively. I have a great love and curiosity of Anatomy and Physiology which is a key tool for problem solving the stories the body reveals during treatment. Each client is treated on an individual basis. 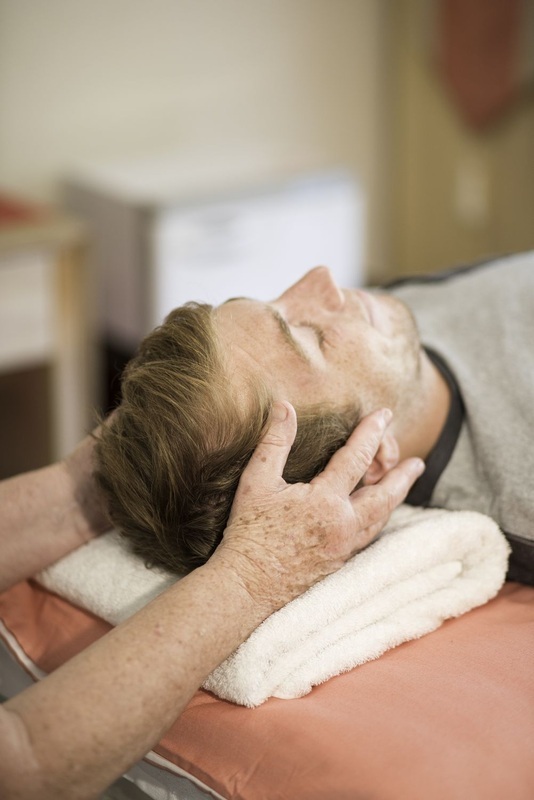 The gentle therapies of Craniosacral, Somoemotional Release and Visceral Modalities compliment massage very well and each can be used as a stand alone treatment. The effectiveness of these therapies supersede massage in that the body responds on a deeper level with subsequent releasing of old injuries, trauma and stress related muscle tightness. Deep relaxation with decreased stress levels are achieved during treatment followed with a greater sense well being and calmness. My clients range from small children to the elderly. Treatment needs may include pain issues, decreased range of movement in any part of the body, stiffness, headaches, rehabilitation from injuries and stress management.An individual health evaluation is taken on the first visit and a plan of action is made with the client to use the appropriate therapy for their particular need. During follow up appointments, the clients progress and improvement is assessed and the treatment is modified if necessary in line with body changes. Challenges in pregnancy such as sciatica, back and hip pain, neck /shoulder pain, headaches, cramps, body stiffness, anxiety and sleep deprivation can be treated successfully with Craniosacral therapy. Every mother can have a good quality of pregnancy, however I have observed that stress and work patterns often compromises the wellbeing of the mother to be. one case that really stands out concerns a woman that I sent to her in late 2010.
was lying in the OP position (posterior) which caused this abnormal labour. confident that she has the ability to labour well. because I saw the woman just prior to and after the massage. Jan certainly worked her magic - an awesome, talented woman." past what I could ever have hoped for. I can't imagine how my life might be now, fully recovered, if I had not met Jan when I did!" "I had been searching for a massage therapist - that could not only relieve me of the pain and stiffness I felt most days but also one who could deliver a gentle therapeutic touch alongside a long term solution. I had no delusions the tension I carried on a regular basis would be only a one session fix. I have been to several massage therapists’ over many years. What impressed me about Jan’s service was her intuitive decision making in how to best treat my body and explaining to me along the way. Jan incorporated massage and visceral manipulation in my treatment as guided. In trusting Jan, I have noticed a significant positive result in the fluidity of body movement and gained better clarity of the impact life has had on my body.